I can truly say that I love what I do! It is unbelievably rewarding to be able to freeze a moment in time that is unique in someone’s life. Photography has always been a passion of mine for as long as I can remember. In 2010, I left the design field and created Tiffany Sims Photography. It was, by far, the biggest decision I have made in my career, but in the end it's what has given me the greatest reward. My style is a blend of photojournalism and traditional photography, incorporating candid and arranged shots. My life at home consists of an amazing and supportive husband (Robert) and our two little ones...Parker & Taylor. They keep our life exciting and on the go! 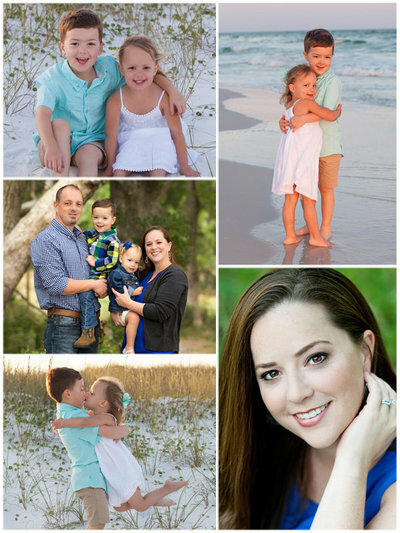 Our mission is to bring our style and passion for beautiful photography to families. To capture those unexpected moments that communicate beyond words. Being part of these moments is the most rewarding experience - and we want to save that. In some cases, we are capturing those once in a lifetime moments of a new family starting or even a young family expanding. In other cases, its those moments where the crazy and hectic lives get put on pause for families to get away and focus on fostering relationships and having fun. No matter the moment, having the opportunity to be part of these moments has been the most rewarding experiences.